Sunrise Horse Rescue is run almost entirely by our fantastic volunteers. 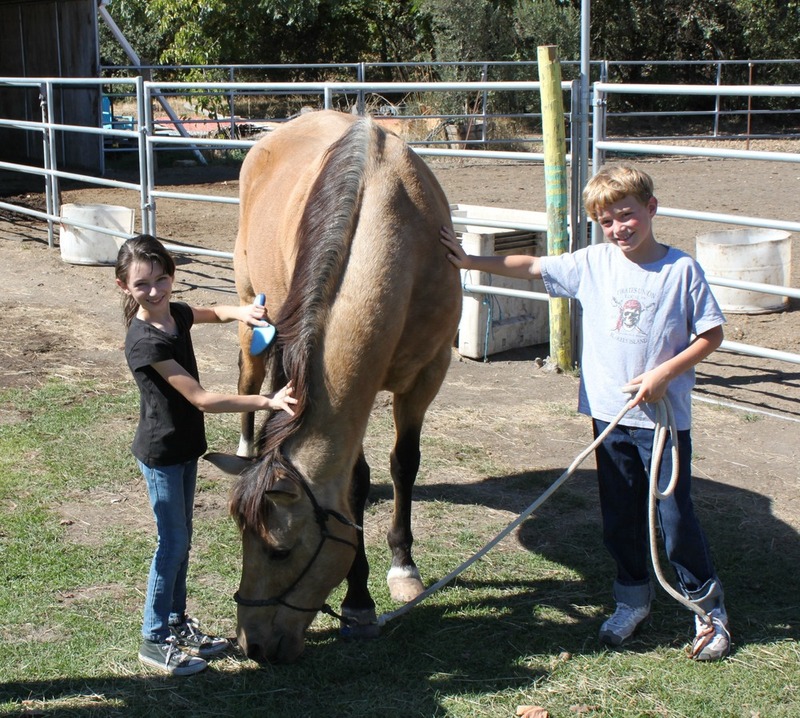 We welcome volunteers who are age 6 and older to work with the horses. No experience is necessary. 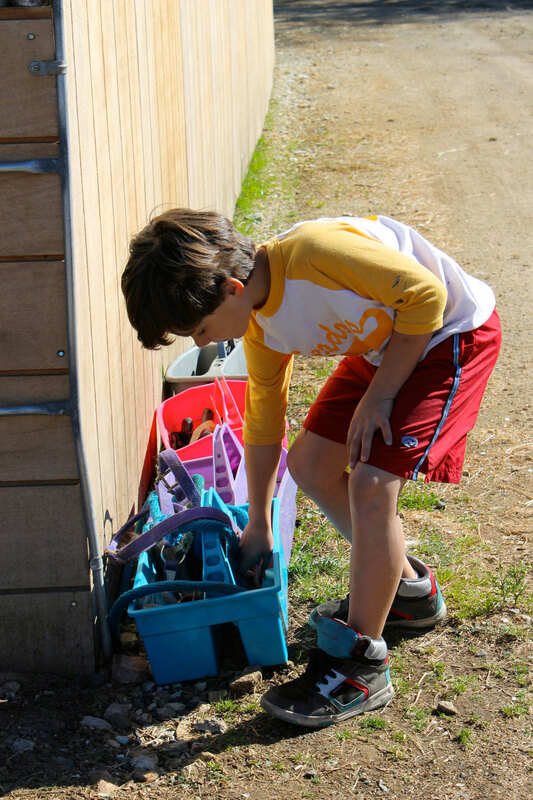 We have a training program to help you learn about our barn and the horses. Volunteers also provide valuable help with things like event planning, fundraising and publicity. There are always ranch chores that need to be done, and we feed the horses 3 times a day, so there are plenty of opportunities to help. We can provide a free workout accompanied by some appreciative nickers. Or pick a horse to brush once a week- they love the interaction and soon anticipate your arrival. It's very important to us to provide our equine friends with stimulation and human touch- it makes their lives better (and ours, too). 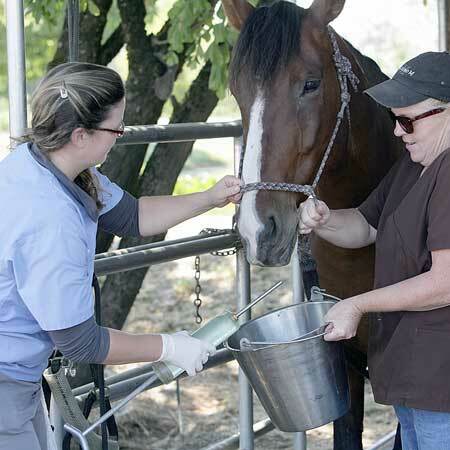 Sunrise Horse Rescue currently provides care for 26 horses. That is enough work for lots of people! We always have room for more volunteers. 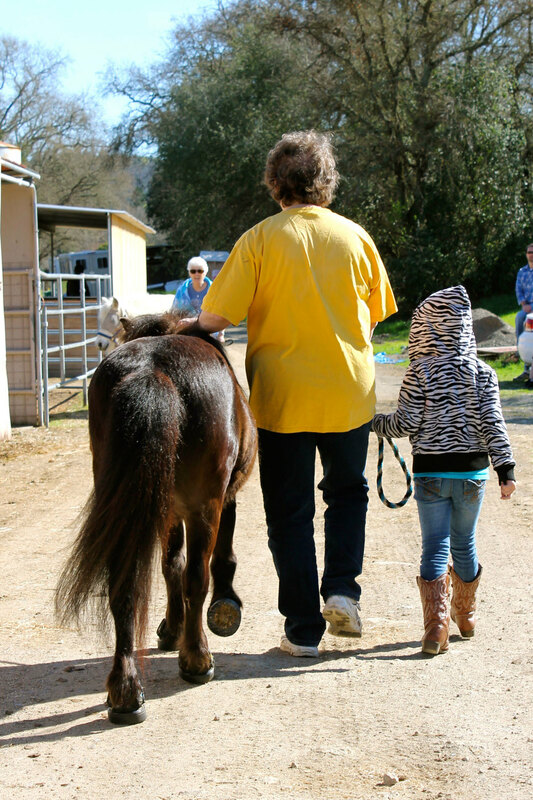 Please contact our Volunteer Coordinator, Mary Taylor, to schedule a tour and learn more about volunteering at Sunrise Horse Rescue. OR MAYBE YOU JUST WANT TO GET STARTED! If you are interested in becoming involved with Sunrise Horse Rescue please fill out the form below. Thank you! Someone will get back to you soon with more information on becoming a volunteer at Sunrise Horse Rescue.